Spotify has released a new version of the music streaming app for Microsoft’s Windows Phone platform, and the latest version of the app brings a new design and some new features. As well as a new design, the update Spotify for Windows Phone comes with an update browse feature and also a new Your Music feature. 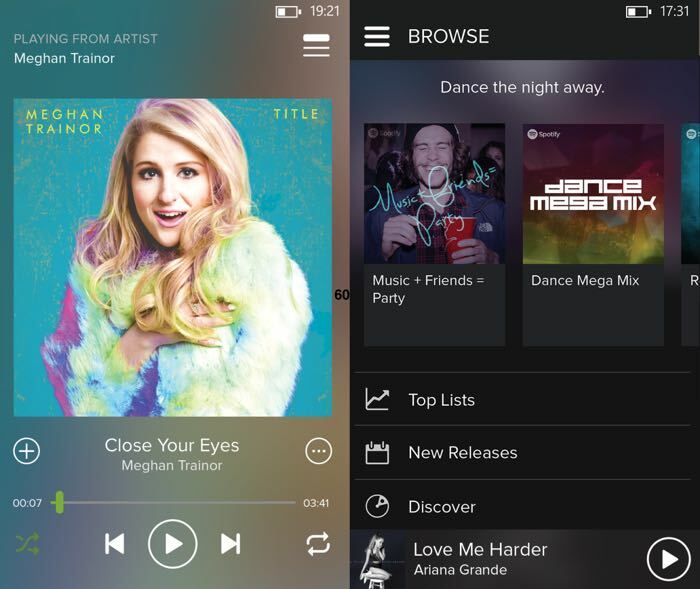 Today we’re bringing Windows Phone users the best-looking Spotify ever. With a darker theme, refreshed typography and rounded iconography, playing your favourite music has never looked so good. Our new design makes accessing your favourite music smoother than ever before. The new dark theme and refined interface lets the content come forward and ‘pop’, just like in a cinema when you dim the lights. We also know that you’ve been looking for more ways of managing your music. So today we’re bringing Your Music to Windows Phone: helping you save, organise and browse your favourite music the way you want to. Save albums and browse their beautiful cover art, gather your favourite artists and create playlists for every mood and moment. Found a song or album that you like? Just hit save to add it to your collection. It’s that simple. You can find out more details about what is included in the new version of Spotify for Windows Phone at the link below.